When a patient loses a tooth, their overall oral health becomes threatened. Fortunately, missing teeth can be easily replaced with the use of a dental bridge. The placement of a dental bridge provides the structure required to maintain the proper function of your mouth, while fitting seamlessly into the shape, color and style of surrounding teeth. Dental bridges are made from a variety of materials, including porcelain, gold, or a combination of the two. A dental bridge attaches artificial teeth to adjacent natural teeth, called abutment teeth, to replace the teeth missing from a smile. A fixed bridge involves the placement of crowns on the abutment teeth, or by bonding the artificial teeth directly to the abutment teeth. 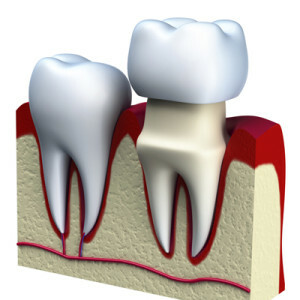 Fitting a dental bridge usually takes two appointments to complete. Northfield Family Dental will prepare the teeth on either side of the space prior to taking impressions of your teeth that are then sent off to the lab. The lab will then use these impressions to create a custom-designed dental bridge. Between appointments, a temporary bridge will be provided to protect the health of your teeth. At Northfield Family Dental, we pride ourselves on providing our patients with dental work that provides you with the healthiest, best looking smile possible. Dental crowns look and feel like natural teeth, and are made from a variety of materials, such as high-grade porcelain, ceramic, or porcelain bonded to gold. Fitting a crown requires two visits to Northfield Family Dental. The first visit provides the opportunity to remove existing decay, shape the tooth, and then fit the tooth with a temporary crown. On the final visit, we will replace the temporary crown with the permanent crown and cement it into place to create a healthy looking tooth. 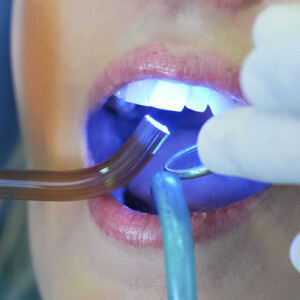 When a lifetime of wear requires a filling, our team at Northfield Family Dental can meet our patients needs with the placement of composite fillings to repair any existing damage and prevent further decay. 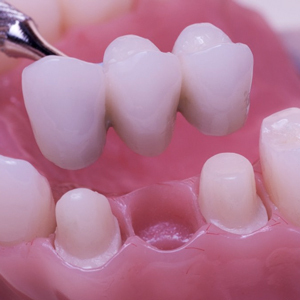 Composite fillings closely match the color, shape, and size of surrounding teeth, offering both protection to the damaged tooth and the ability to provide a beautiful looking smile. The placement of a composite filling usually takes just one office visit and can significantly improve the appearance and health of a patient’s tooth. We have made the important decision to make our Northfield and Stapleton dentist office a mercury-free environment. To better protect our patients’ long-term health, we no longer use amalgam fillings. Commonly known as silver fillings, amalgam fillings offer a few significant disadvantages when compared to composite fillings. The metal used in amalgam filling can expand and contract, causing cracks in the teeth which can lead to additional decay and dental work. Amalgam fillings can also corrode and cause stains on your teeth and gums, and usually contain minuscule amounts of mercury, which can cause additional problems should a filling crack. If you have received fillings over the years, Northfield Family Dental will closely monitor them for any signs of failure.